It’s British Food Fortnight, a national celebration of British food and drink, which gives everybody within the industry to promote the benefits of buying and eating from our home produced British larder. Which is why Kris paid us a visit from Country Fare, to tell us all about their wholesale business, the effort of those people who produce our food and how it is fresh thinking and sustainable. Can you tell me a little bit about Country Fare? Country Fare is a Dorset based wholesaler providing local provenance fruit and vegetables, specialised lines to restaurants within the Bournemouth, Poole, Swanage area. We have about a 50 mile radius so we travel all the way from Southampton, all the way across to Bridgeport and up to Shaftesbury/ Gillingham way. 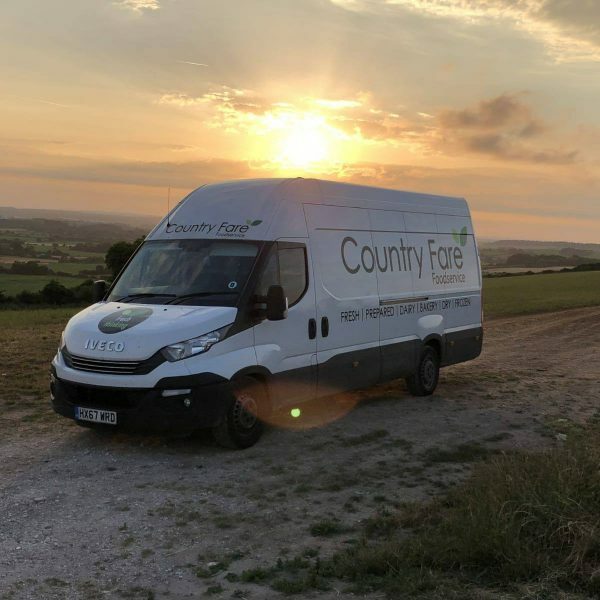 As one of the few remaining independent family-run fresh produce suppliers in Dorset and Hampshire, Country Fare offers an unrivalled personal service that will meet all your fresh produce needs. We specialise in local fruit and vegetables from local farms. For example, our blueberries are from Wimborne, our strawberries and mushrooms are from the New Forest, the list goes on and on. 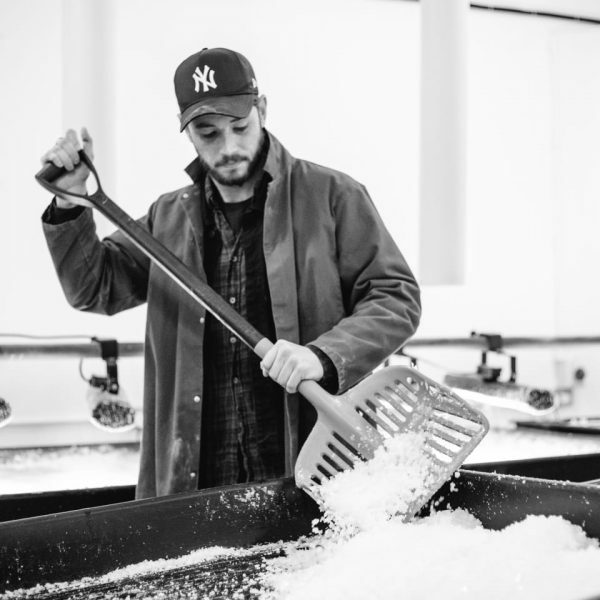 We also work with a lot of dry stores and dairy producers as well – stocking about 40 artisan cheeses from the local area, from as close as the New Forest, people like Dorset Blue Vinney, Rosary Goats Log. We also do Wookey Hole Cheddar, Coastal cheddar which is from Dorchester. So we stock a lot of those lines. Our milk is from Southampton, and then all of our dry stores, where possible, is local. So we work with the likes of Dorset Tea, Dorset Sea Salt from Chesil beach, we’ve just taken on a local biscotti company in Christchurch who do a local biscotti, so that’s what we do and that’s how we make our niche in the area. What is your role specifically? I am the sales manager for Country Fare. I’ve been with the company for just over 2 and half years now, and my role is to oversee a team of account managers who make sure that our customers are getting the best service, the most frequent service, and ensuring that we are the supplier of choice within the Dorset area. Our mantra is ‘fresh thinking’ and that is something that we ensure is in the core of everything that we do. We are always trying to be innovative and think outside of the box, we want people to choose us not just because we’re a wholesaler, but rather because we tap into a network and we invest time with the businesses that we work with. For example, we take our clients on supplier and chef days out so that they can meet the people who grow and produce the food they are buying. Also, we do trade shows where our clients get to meet 30+ suppliers in one room, allowing them to interact and really learn more about it. So yes, it’s much more than “you’re just a customer and we’ll send you goods” – we take on the whole aspect and and invest a lot of time and money into these relationships, which we believe are paramount to our mantra. Incredible. So, currently it is British Food Fortnight which is all about celebrating British produce and sustainability. Can you please give me some examples or case-studies of your clients? Absolutely, so I’d love to highlight a little bit about the locality of the produce and how we work with suppliers. Let’s take Richard, the mushroom man that we deal with just outside of Ringwood, he works very closely with the Forest recommission to ensure that the wild mushrooms he forages are sustainably forested so that there is regrowth every year. On the 16th October, we’ve actually got a mushroom foraging, which is free for our customers to attend, whereby we take you out into the forest with both Richard and the Forest recommission. We go looking for mushrooms, Richard identifies them and tells you what is safe to eat and what is not, and also explains about the background of the mushroom and which species are endangered, how they’re connect by marcelia which is the root network. He explains much more than just basically this is a mushroom, it’s safe to eat. Which is very important. 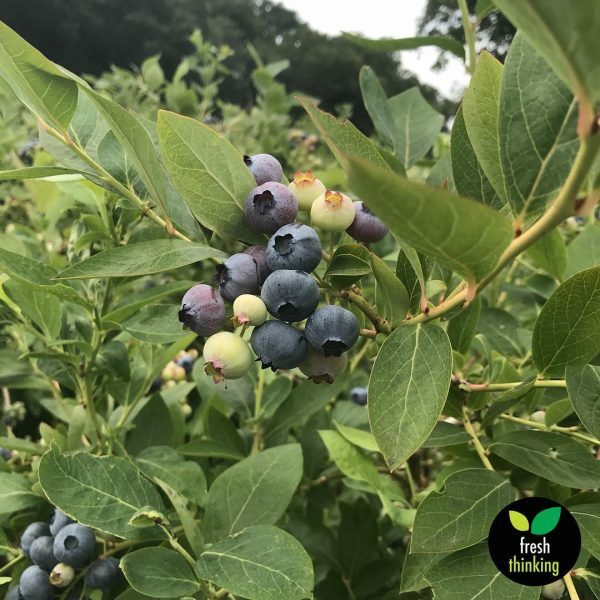 Another example is Trehanes, a blueberry farm in Wimborne, is an 18th century blueberry farm who was gifted one of the first blueberry bushes from the American’s back in the 18th century! So you know, we choose to get our blueberries from them because it’s heritage. Sopley Farm, who provide us with a large majority of our vegetables, for example corn on the cobs and pumpkins. There are a lot of things which come from them on a regular basis that is sustainably farmed, they use water from a local lake as irrigation so that they’re not importing anything. It’s very important, from our point of view, that is people are buying locally, they’re not just buying it for the sake of it, they understand that there’s actually a much bigger picture behind it and they understand how it works and how the people in the business works. We arrange open site tours for this kind of thing so that our customers can understand this. The New Forest Fruit Co who source our strawberries and raspberries, use as little chemicals as possible, as well as insecticides, to keep the fruit as healthy as possible. One of the things they use, which you learn on the tour of the farm that we do, they grow garlic scapes with the strawberries – so when you break a garlic scape you get an aroma of garlic, and insects don’t like that smell so it’s a natural deterrent for insects. They also nurture bees too because bees help to cross pollinate so they have their own bee hives that work in combination with it. That for us is where we want to highlight the local produce, especially this time of year, with British food Fortnight is the key thing for us. Wow, the whole process of producing our food is pretty incredible. Yeah, it is. We live in an industry and environment now where people just expect food to be put on a plate and people don’t really understand where it comes from. Therefore, it’s important for our customers to understand the level of work, effort, and the environmental impact that goes into growing this food, you know – we mass consume a lot of food on a regular basis, I think that it’s important for people to understand what makes a local supplier who uses these certain methods, different from a Spanish or Dutch supplier who just produce on a bulk scale. At Country Fare, do you specifically looked for suppliers who are conscious about sustainability, high quality and fresh produce? Yes. One thing that is very important to us and run through everything that we do is that we align ourselves with suppliers who share the same morals that we do – and we want to represent them the best way possible. Take Jeffro at Dorset Sea Salt. Jeffro started his business by going down to Chesil beach with buckets in hand, getting buckets from the water, putting it through filters, drying it out and basically making his salt with light that are powered by solar panels and wind power. You know, that’s an interesting story. The level of work and how environmentally conscious he is, this is something that we both share and we want to get behind him to make sure that we are fresh thinking but also supporting businesses from the local area, and we champion products like this. Wow! I’m guessing you must enjoy your job? I love it. I’m a foodie through and through. It’s very rare that you get to work for a wholesaler or business that has such strong morals, core and principles. It’s not just a Facebook thing or a marketing ploy, everything that we do, we really believe it. You know, our customers, they aren’t assigned numbers or digits, we know their names and we know them personally, and we understand what kind of business model they have because we don’t want to get to the stage where it becomes very clinical. We are very much aligned. This is why I travel down from Somerset everyday to work for Country Fare because I can honestly say that it’s the best business I’ve ever worked for and it fits me personally and it’s a business i’ll be with for many years to come. It’s very rare that you can say that you are proud and happy for the company that you work for, it’s a family that we’re part of and yesterday, with the trade show – you walk around and your customers are happy, your suppliers are happy, and you introduce everyone and you feel really proud to be part of it. How many clients do you look after? In total, the best part of 650 restaurants and hotels, just within the Dorset area. We are very lucky to have a very loyal customer base. 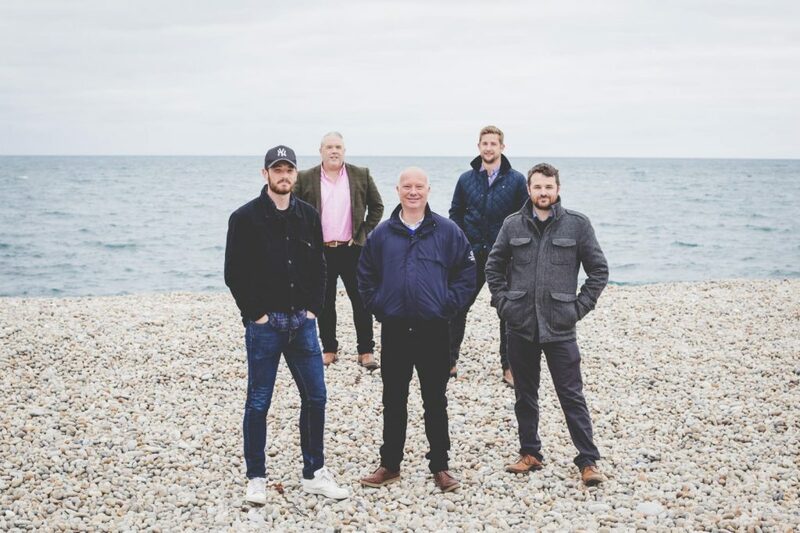 We deal with people from all walks of life so, restaurants like NEO, we is the crème de la crème of Bournemouth, we deal with Roots down the road, an 15-18 seated restaurant, phenomenal chefs, very much at the forefront of the very best of fine dining down here. We deal with wedding caterers, schools, nursing homes. We actually have a dysphagia event happening on the 2nd November, we’re taking chefs out into nursing homes and training them up for a day about the new regulations in the industry, just something free that we’re doing to try and invest a bit of time into them. So yeah, we literally deal with anyone that deals with food – farm shops, delis, bars, whatever it may be. Lastly, why is it important to support local suppliers? I think that it’s good for the local economy, plus with Brexit happening as well it’s good that you know your food is being sustainably grown and the money that you spend on it is going back to the local area. You also have a guarantee of decent quality produce, you know where it comes from, you know it hasn’t been artificially enhanced or changed or genetically modified, it’s grassroots and that’s what important. It’s not always possible, you’re not going to always be able to get tomatoes or strawberries all year round in the UK, but if you eat with the seasons and work with it, I think you’re going to get the best quality long term.